This post first appeared at quantifiedself.com. Quantified Self is a worldwide community of people who track various aspects of their lives, and of the people that make tools that enable and support such self-tracking. 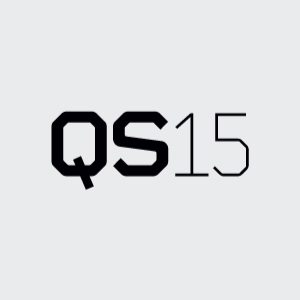 “QS15” is the upcoming conference and exhibition, June 18-20 in San Francisco. We have been curious about this issue for a little while now, both as self-trackers curious about what it might be like to quantify the care work we ourselves do, and as researchers interested in care (Mehta) and self-tracking methods (Nafus) more broadly. We hope we can entice you to explore this topic with us in a variety of ways. The two ways on top of our minds currently are the Breakout Session at QS15, and the Atlas of Caregiving Pilot project. Caregiving has been present as a theme from the beginning at QS. The first conference had a standing-room-only breakout session on tracking for chronic illnesses. At the third conference Yasmin Lucero gave an amazing talk about tracking her baby. In Amsterdam last year, another breakout focused on the human issues around family tracking. In June in San Francisco we want to dive deeper into how to track caregiving activities and the social implications of such tracking. In this session, we’d like to think broadly about what counts as “care.” So many of us do not think about ourselves as “caregivers” and yet do a whole heck of a lot of it, some more short term than others. We are curious about how care work affects your self-tracking practice. Does it make sense for you to track care activities explicitly, or does it make sense to track all the other things that are not about care for others, so that you can better care for yourself too? We are also interested in the social ramifications of making these burdens explicit. Will your siblings be more supportive or empathetic if they really understood how much you’re putting into taking care of your mother? Will your mother feel even more guilty about all the trouble she’s causing you if she saw graphs of your troubles? In many kinds of self-tracking data, it is not just you implicated, though you might only do it for yourself. What are some good ways of negotiating the minefields data can sometimes open up? We’re not just talking … we’re doing! The “Atlas of Caregiving Pilot” project, supported by a grant from long-time friends of QS, the Robert Wood Johnson Foundation, will enable us to explore this further with our researcher hats on. Our interest is in leveraging QS tools, methods and mindsets. We are less interested in allowing traditional healthcare and academic experts to frame what should and should not be of interest, and more concerned with ensuring caregivers themselves have the opportunity to say what is and is not important about their experiences. Ultimately, these are their stories, not ours, and the pilot is exploring ways that we can help people reflect on, and tell, their stories through QS-style numbers. We are also exploring what new insights are possible by leveraging self-tracking technologies, especially what can we learn about the activities and burdens of care. In practice, this means we’ll be combining qualitative and quantitative approaches; we’ll be encouraging self-reflection; we’ll be emphasizing the individuals (families) and not just the group (population); and we’ll emphasize learning from the uniqueness and variety of family situations. Read more about the project at Atlas of Caregiving. We would love to hear from you, with suggestions on what to track, technologies to use, and war stories of what not to do. And if you want to collaborate, contact Rajiv at rajiv@bhageera.com.